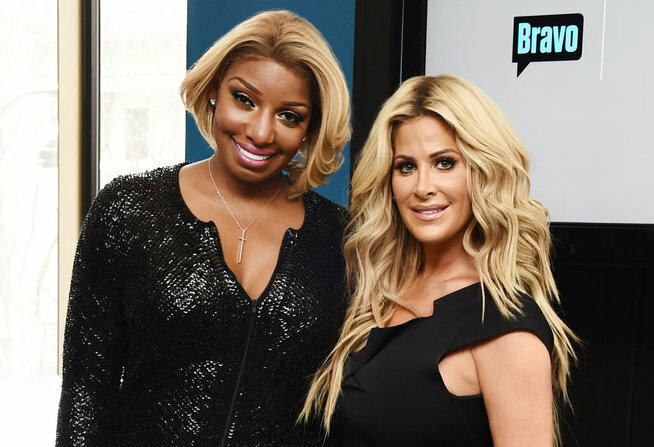 *Kim Zolciak-Biermann has reset her 15 minutes of fame timer, as she’s eager to jump back in and stir the pot for the second half of “The Real Housewives of Atlanta” season 9, which is already well underway. The preview also includes some clips from a Maui trip the ladies take together — no doubt bickering and name calling will be the co-stars. The preview also teases that Cynthia Bailey and Peter Thomas may be rekindling… but a source close to the couple say this is not the case, so don’t be fooled by camera trickery. Additionally, Shereé breaks down during a tearful conversation with her ex-husband, Porsha claims she’s pregnant and Phaedra is hit with the reality of finalizing her divorce from Apollo Nida … and his new fiancée shows up to Kandi and Todd’s restaurant opening, seemingly uninvited and unannounced. While Zolciak infamously stormed off the set of “The Real Housewives of Atlanta” back during season 5, and subsequently starred in her own spin-off show, “Don’t Be Tardy,” starring her husband Kroy Biermann and their six kids, she’s now ready to return to her ‘RHOA’ roots.